Why use us for block paving? Block paving is an excellent choice for renovating parking areas, driveways and rear garden patios. It can be installed to create winding pathways and steps, along with edging for both front and rear gardens. 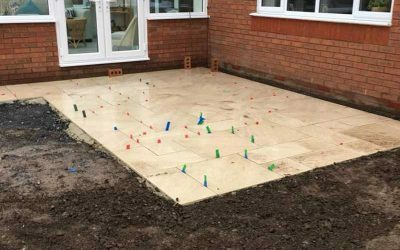 Fitted by our experienced team, Driveway Transformations only offer the highest quality block paving. Our aim is to make your vision a reality. Over the past few decades block paving has become increasingly popular. Developments in the production process of the blocks has brought the cost of block paving down to a reasonable level for domestic use. 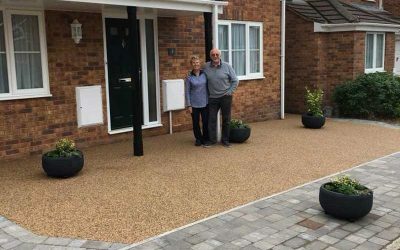 There are very few limits to where block paving can be used and it is a great alternative to more common concrete or tarmacadam surfaces. With so many block styles and colours available; unique and custom designs are very much achievable. 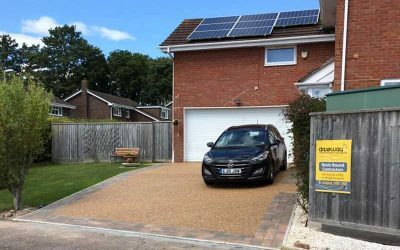 At Driveway Transformations we a wide variety of surfacing options with professional guidance on the best solution for you. Block paving is a popular option for unique driveways and paths; a professional and bespoke finish to your property. Laying 60m2 of Porcelain slabs.